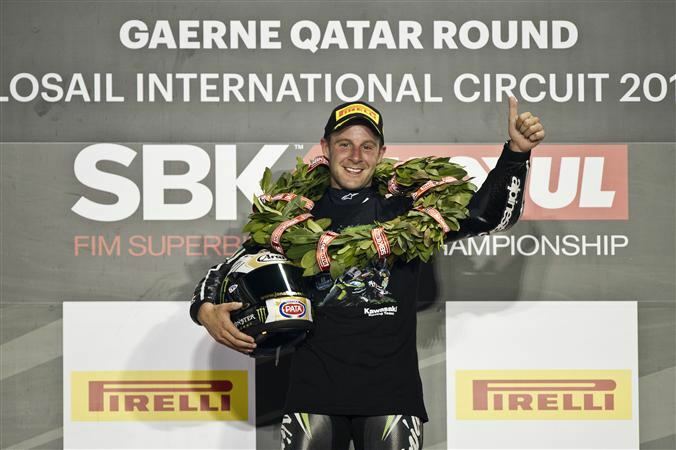 Jonathan Rea wrote his name into the history books by securing his second World Superbike Championship in succession. The last time this feat was achieved was 17 years ago by the legendary Carl Fogarty. 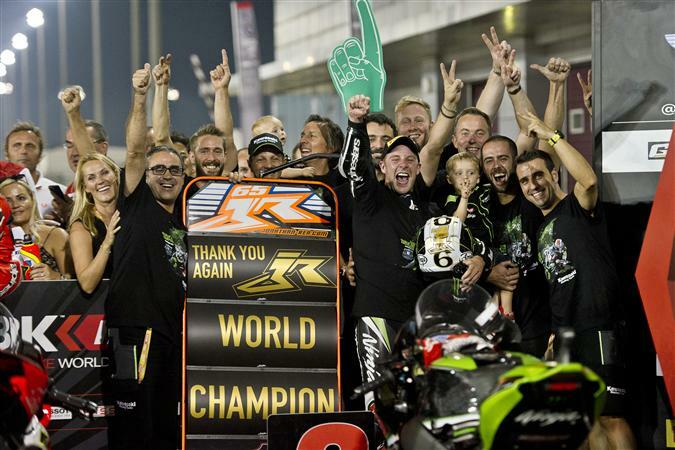 A second place finish in the opening race at Losail in Qatar was all Rea needed to secure the necessary points. Rea had claimed an eighth career Superpole earlier in the day, fending off former MotoGP star Nicky Hayden in the process. Tom Sykes, Rea’s team-mate and the only rider who could threaten his world title challenge only made it to the second row of the grid. In race one, Rea chased eventual race winner Chaz Davies on his Ducati in the early laps, holding station behind him for some time. Sykes laboured at the start on a fresh set of tyres but managed to pick up his pace towards closing sages, going from fifth to fourth by passing the Honda of Nicky Hayden. Once Jonathan realised that he would earn more than enough points to secure the championship, he eased off to collect a comfortable second place. Throughout 2016, Rea has been a model of speed and consistency, claiming nine race wins, eight second places and five third places. Remarkably, he has only failed to stand on the podium on three occasions. In the final race of the weekend, a mechanical issue saw Rea falter and drop into a midfield battle, whilst Chas Davies’ Ducati streaked off with the lead. However, an engine blow up for Saeed al Sulaiti meant the race was redflagged, which enabled Rea’s Kawasaki team to ring the changes. After the restart, Rea catapulted his way to second place, in blistering fashion. With less than a lap remaining, the Northern Irishman knew he hadn’t the pace to catch Davies and end the season with a win. 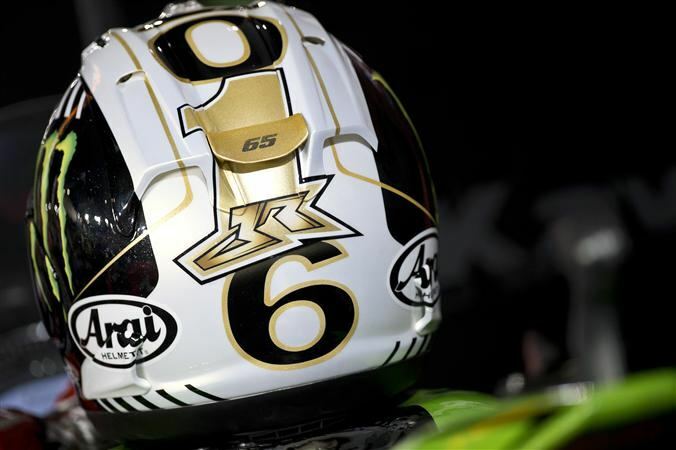 So in an incredible sporting gesture, he let his teammate and former title rival Tom Sykes claim second and with it, the runner’s up spot in the championship standings. I don't think it's a tyres issue anymore with Sykes. He was unfortunate that Giuliano touched him in the second race, knocking him out of his rythmn. I think he has a total mental block - once he slips down the rankings, he can't make the places back up. My DA would contend that Sykes can't or doesn't like scrapping for positions and is only good with a clear track in front of him. Looking forward to this weekend, one of the best tracks in the WSBK series. Lets hope JR can add to his 7 wins here so far. :D I can't help thinking the Ducati's will be hard to stay with round here though. should be an epic race(s).. JR has a great record round it but as you say ricky the dikes with chaz onboard will be hard to beat..